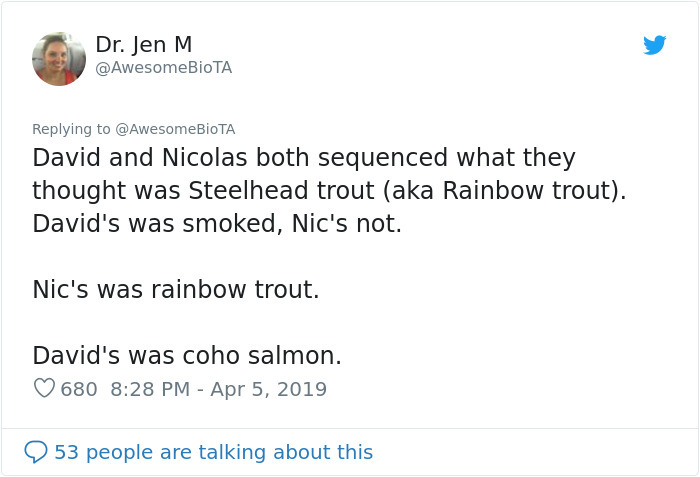 Dr. McDonald is a biology professor at Fanshawe College in London, Ontario. 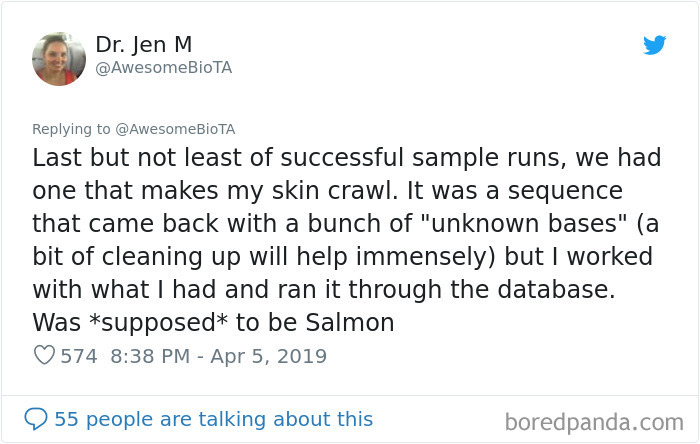 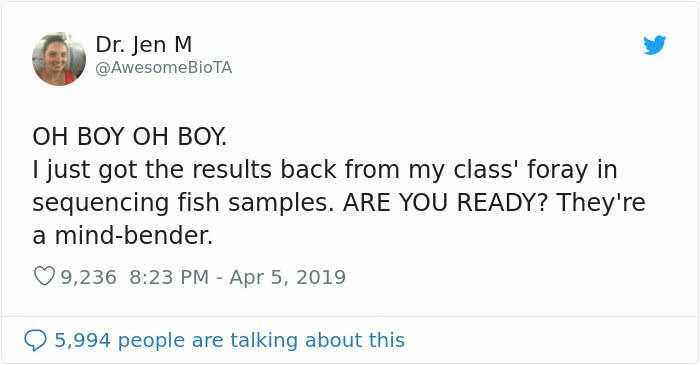 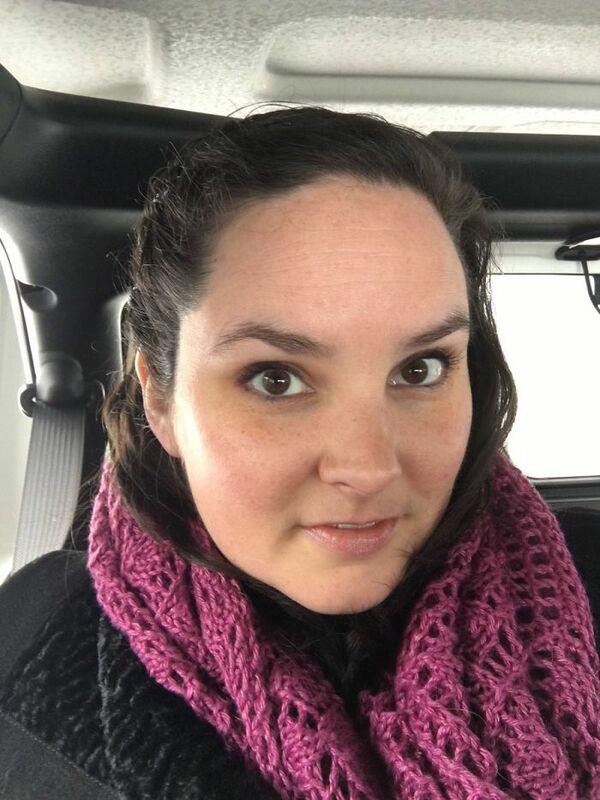 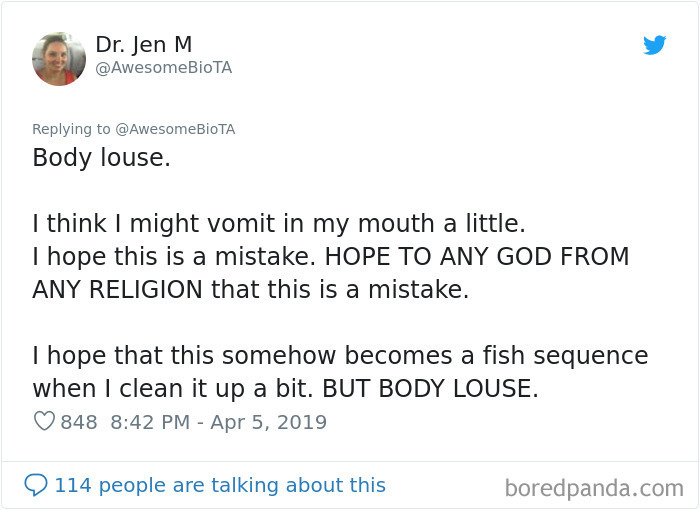 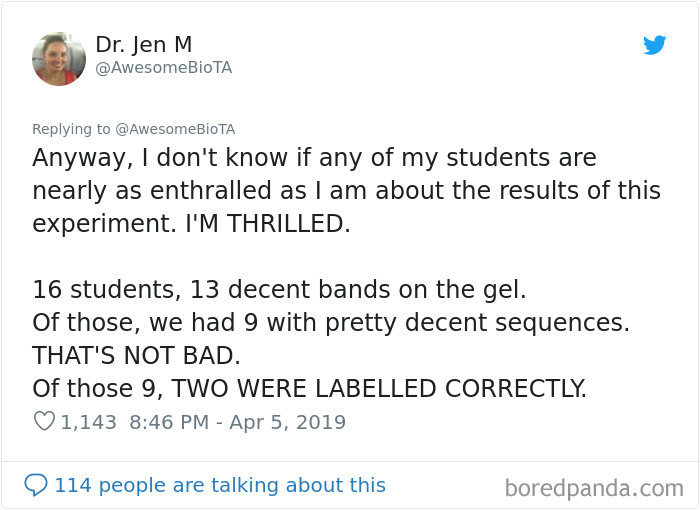 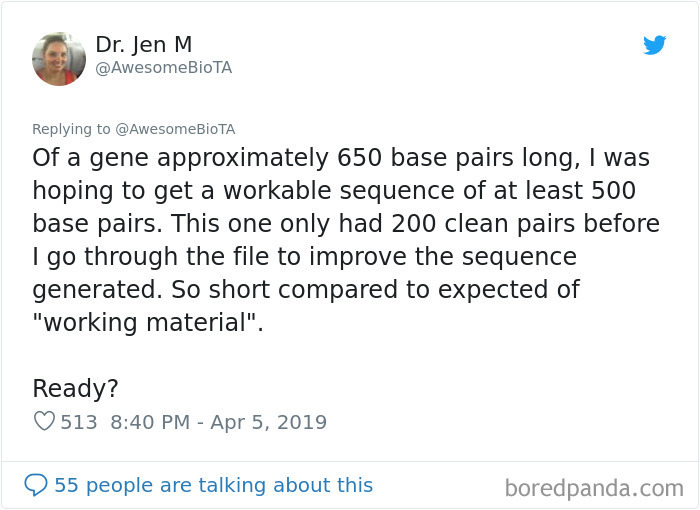 Recently she tweeted out an experiment she was conducting with her students to sequence the fish DNA from restaurant sushi and see if the fish matched their menu labels. 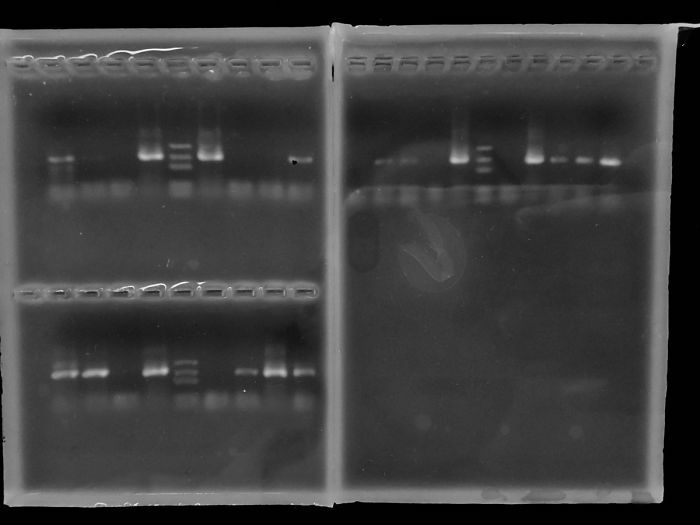 The students were studying Polymerase chain reactions, or PCR: “a laboratory technique used to make multiple copies of a segment of DNA. 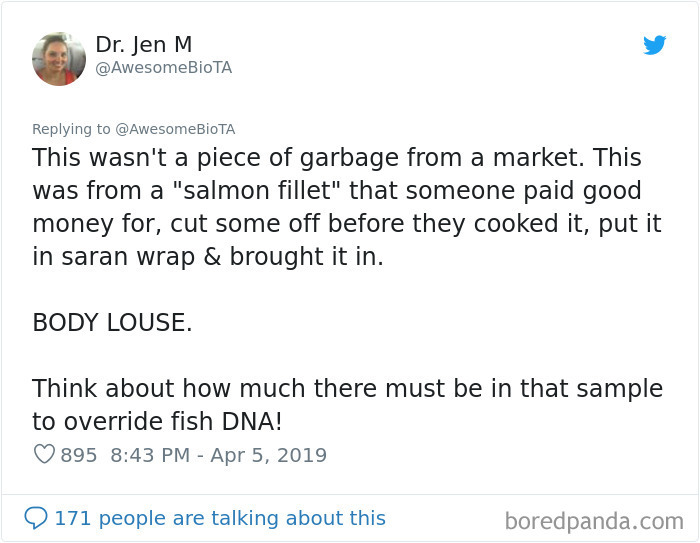 PCR is very precise and can be used to amplify, or copy, a specific DNA target from a mixture of DNA molecules.”Each fish has its own unique genetic sequence which makes it easy to detect fraud. 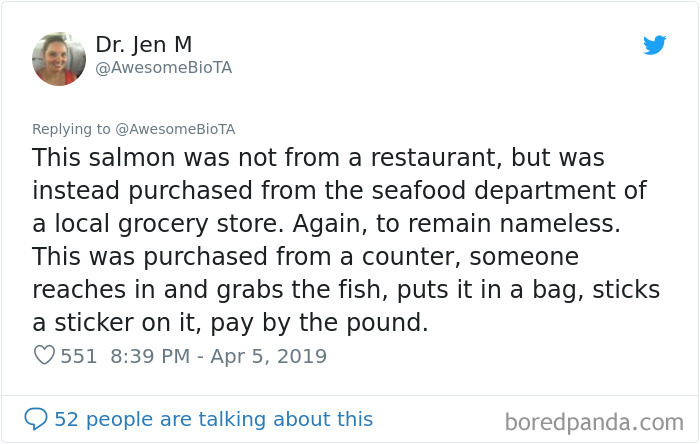 But what kind of restaurant would mislabel their fish? 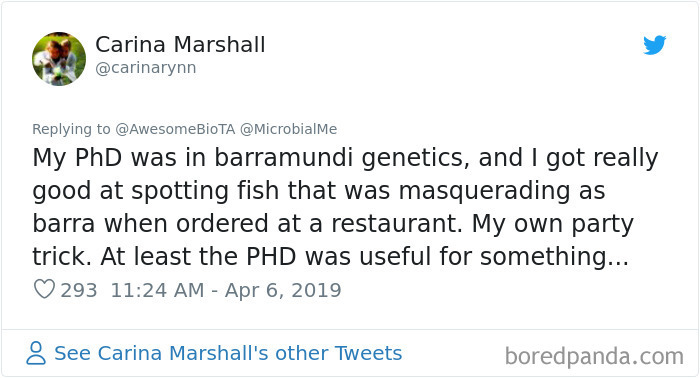 As it turns out there are multiple studies on the fraud fish industry and the results all agree that there are some fishy practices going on in restaurants all across the U.S. 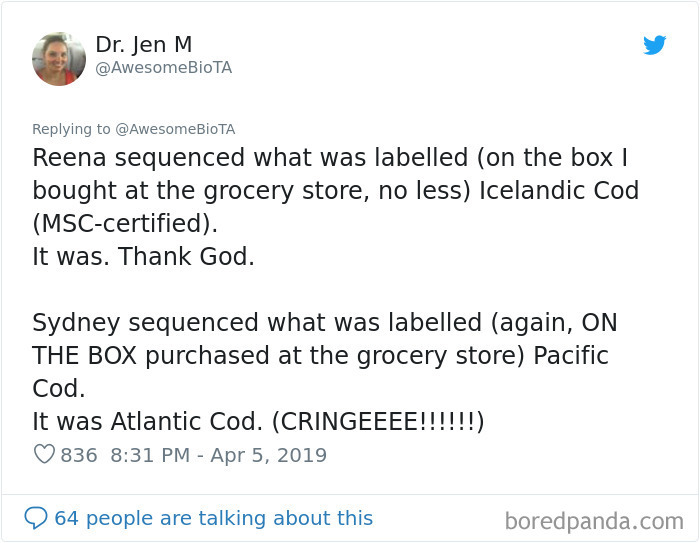 According to a 2013 study by ocean conservation group Oceana 74% of fish sold in sushi restaurants in America are mislabeled. 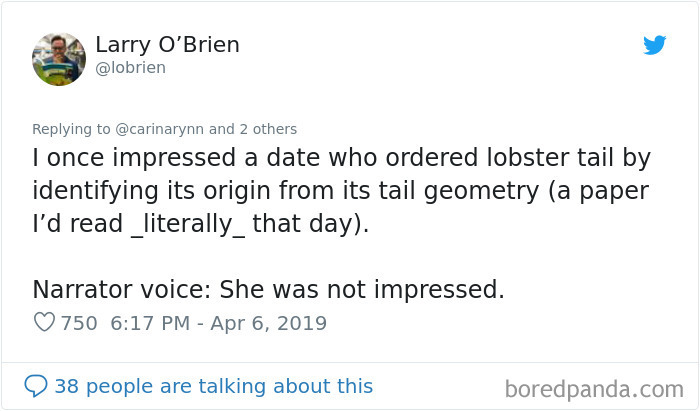 Even the most expensive fish on the menu isn’t a safe bet. 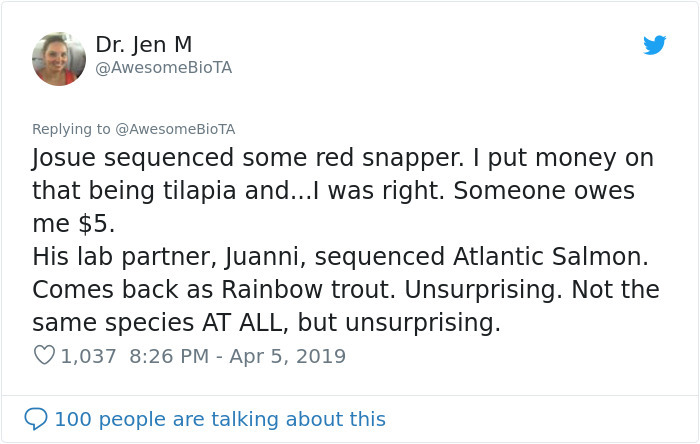 One DNA expert found that 94% of the time someone orders “red snapper” it is, in fact, another fish entirely. 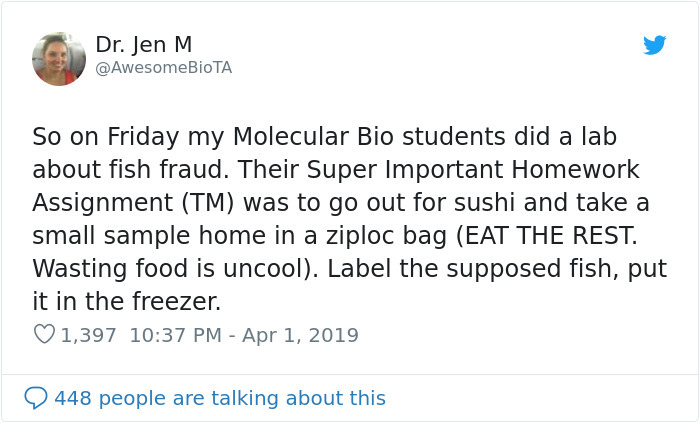 Food fraud is a $50 billion annual industry that doesn’t just stop at sushi restaurants but can be found in grocery stores as well. 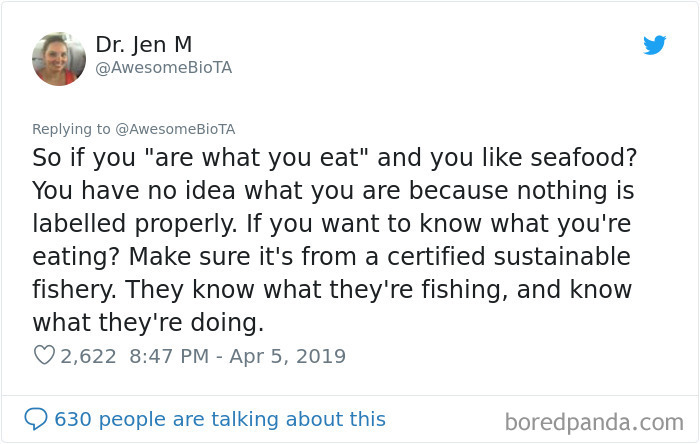 A good example of this is “white tuna” a fish that doesn’t actually exist beyond the label. 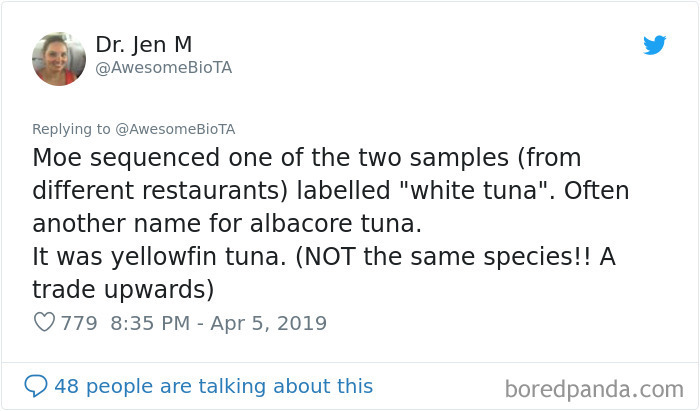 Typical tunas we consume fall under the categories of albacore (light colored tuna), bluefin, yellowfin, or ahi, are (darker tunas). 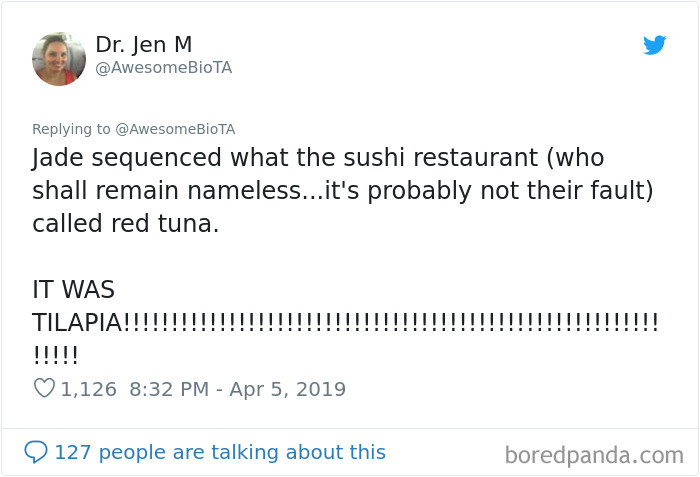 Oceana found that 84 percent of “white tuna” samples they tested in the U.S. was actually a fish called escolar. 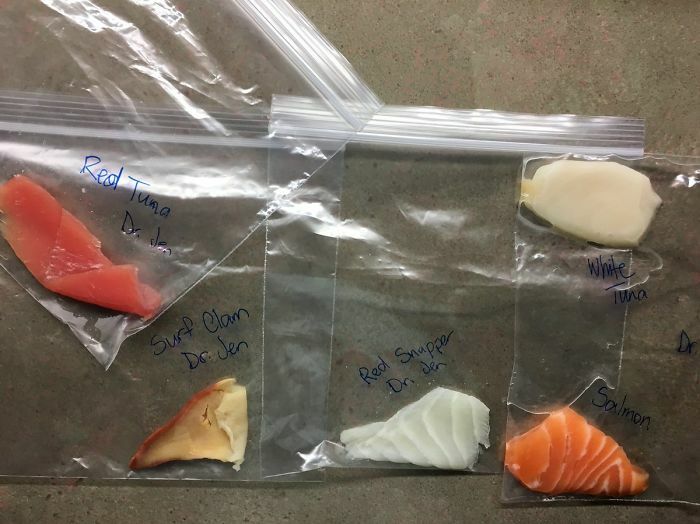 Escolar has been banned in Japan since 1977, because their government believes it to be toxic, and with good reason. 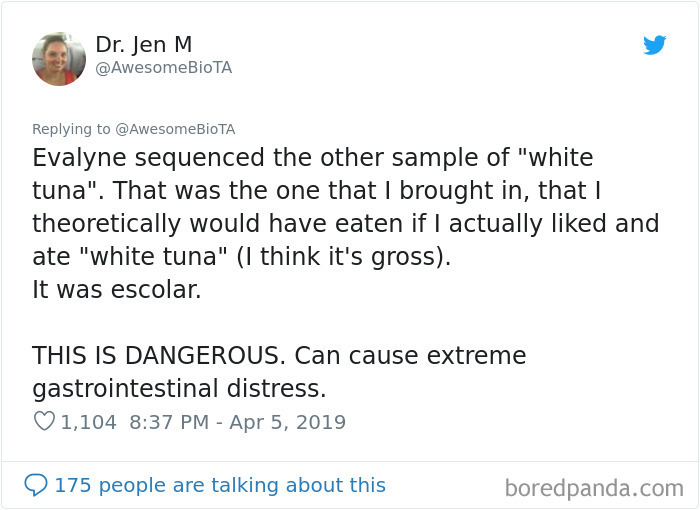 This fake tuna can make you extremely ill.